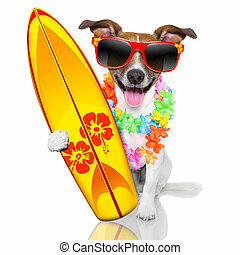 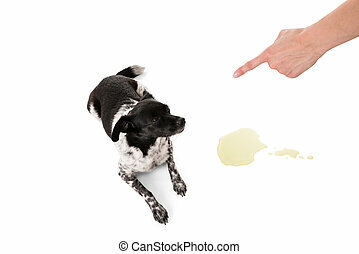 Dog punished. 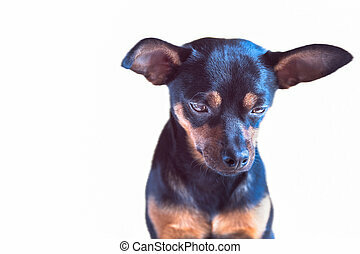 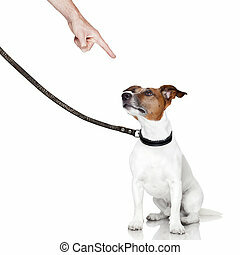 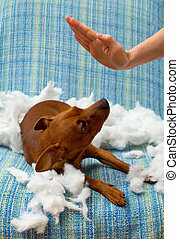 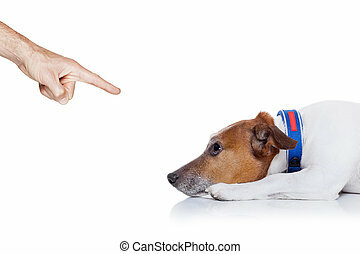 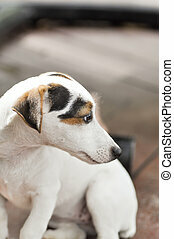 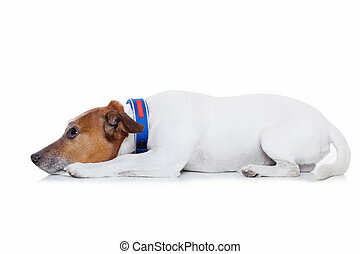 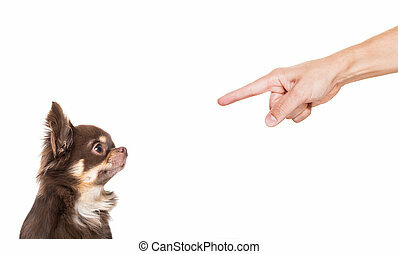 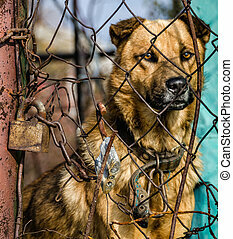 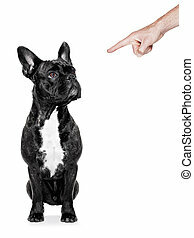 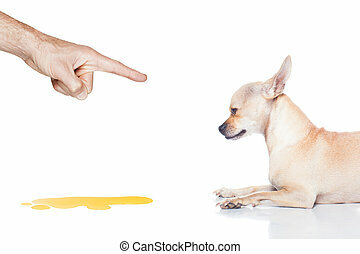 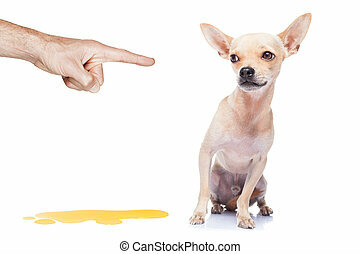 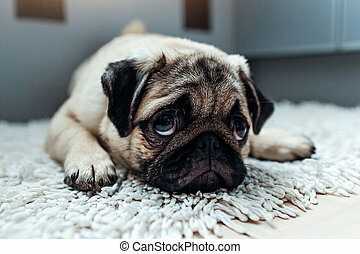 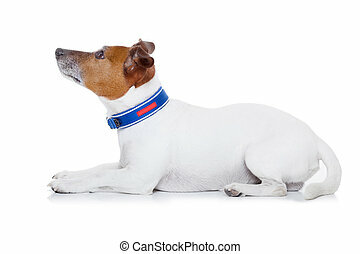 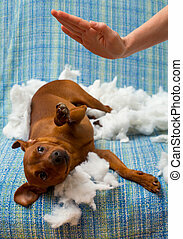 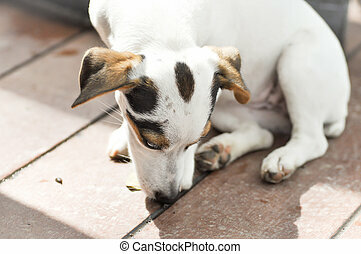 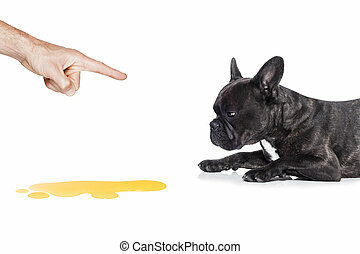 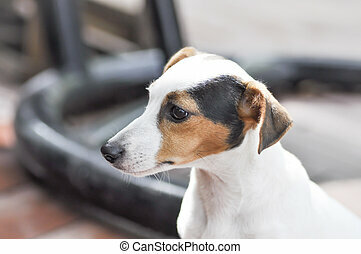 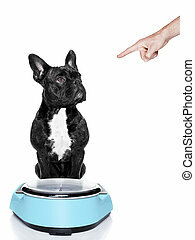 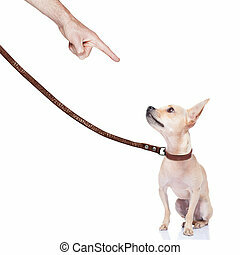 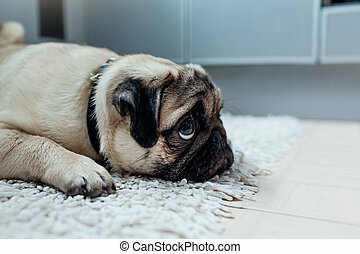 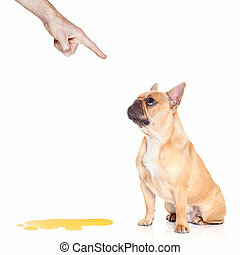 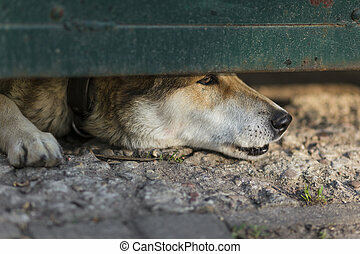 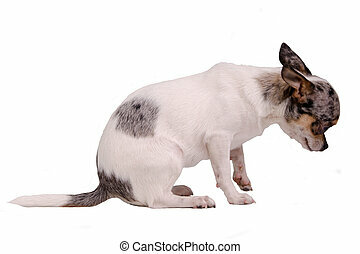 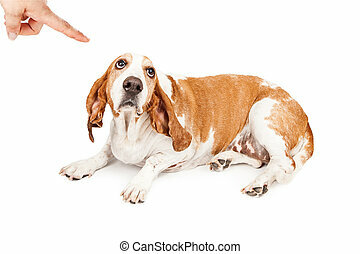 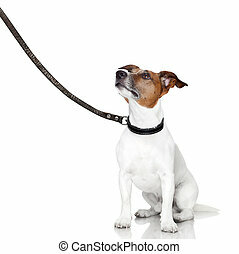 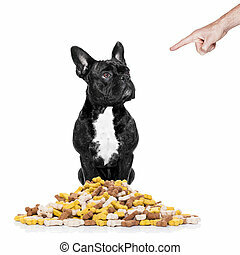 Chihuahua dog being punished because of bad behavior by his owner, isolated on white background. 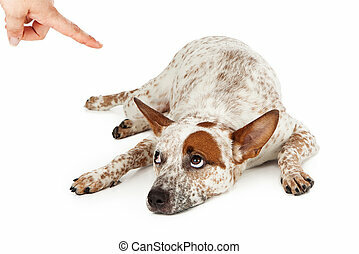 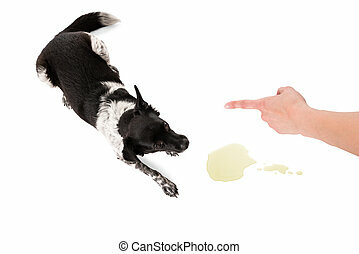 An Australian Cattle Dog mixed breed laying down on the floor and rolling his eyes up at a finger being pointed at him as he is being scolded.